Morbid Anatomy: Announcing a New Virtual Museum Dedicated to Frederik Ruysch (1638-1731): Anatomical Artist, Museologist, Morbid Anatomy Patron Saint! Announcing a New Virtual Museum Dedicated to Frederik Ruysch (1638-1731): Anatomical Artist, Museologist, Morbid Anatomy Patron Saint! 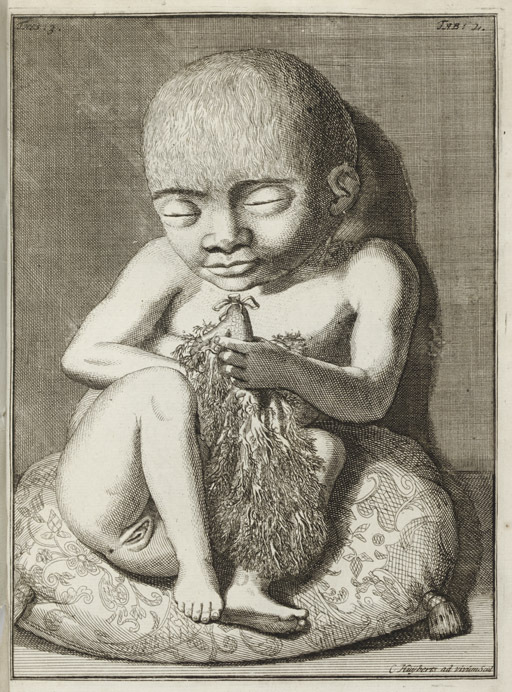 There are many great artists of medical preparations, but perhaps my very favorite, and probably the most bizarre and fascinating to the modern eye, is Dutch anatomist, artist, preparator, and early museologist Frederik Ruysch. I have just been alerted to the launch of a new virtual museum dedicated to the life, art and history of this great anatomical artist. Following is a brief introduction to Ruysch's life and work; if you find this of interest, I urge you to visit this new virtual museum, which promises--once the English version becomes operative--to become a definitive resource for all things Ruysch. The fetal skeletons, several per tableau, were ornamented with symbols of death and short life--hands may hold mayflies (which live but a day in their adult state); skulls bemoan their fate by weeping into 'handkerchiefs' made of elegantly injected mesentery or brain meninges; 'snakes' and 'worms,' symbols of corruption made of intestine, wind around pelvis and rib cage. In addition to the spectacular memento mori-themed tableaux detailed above, Ruysch was also renowned for his incredibly life-like and enticingly imaginative wet preparations (above, 9, 10 and 11). 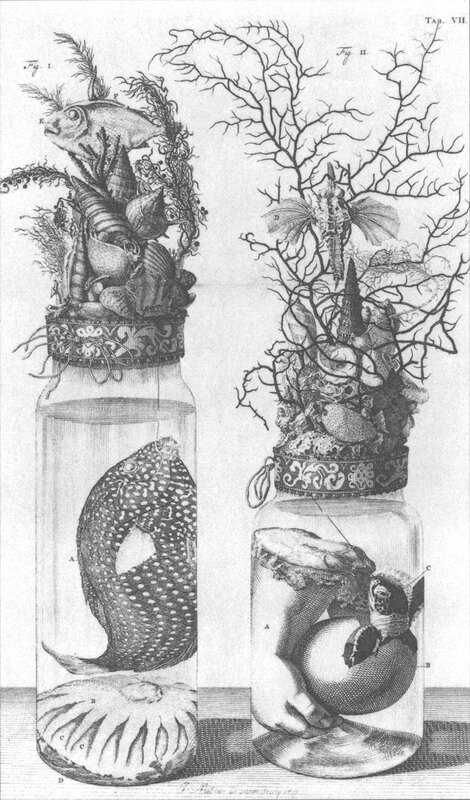 To create these extraordinary specimens, Ruysch--using self-developed secret techniques--injected specimens with wax impregnated with pigment and other additives to solve the color-loss issues endemic to wet specimens. With the help of his daughter--still-life artist Rachel Ruysch--he would adorn these specimens with lace and clothing (sometimes even turbans! See 10 down) to hide "unfinished" areas (ie. cuts in the flesh, dissection marks) and add a note of delicacy, grace, and elegance to the whole; he would also often replace native eyes with eyes of glass to complete the illusion of life. The finished work would be immersed in his secret formula of spirits, black pepper, and other additives in a suitable presentation jar, with embellishments sometimes added atop the final piece (see 8 down). 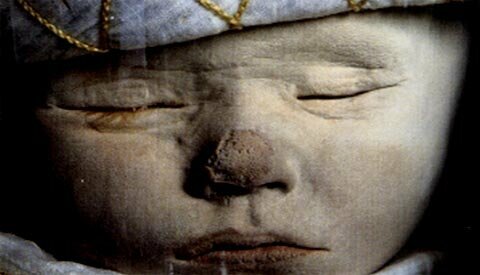 The results, as seen in the specimens above, were startlingly lifelike, and still--after many centuries!- have an uncanny, rosy beauty very unlike the dull and pallid specimens seen so often at medical museums. Rusych was a collector and showman as well as artist and anatomist; to showcase his vast--he produced over 2,000 human preparations in the years 1665-1717 alone! --and "spectacular collections of 'Anatomical Treasures',"  Rusych established his own cabinet of curiosities, a private museum visited by medics and philosophers, as well as members of the aristocracy and royalty. Here, one could see not only his fantastic tableaux, but also "body part specimens in glass jars, baby skeletons, and preserved organs ... alongside exotic birds, butterflies and plants." Ruysch published several lavishly illustrated guides to his incredible cabinet; 8th down, you can see an allegorical view of his museum as depicted in a frontispiece to one of these guides, Thesaurus animalium primus = Het eerste cabinet der dieren, published in 1710. Very sadly, none of Ruysch's astonishing tableaux are known to exist any longer, and are only known to us via illustrations from books of the time. 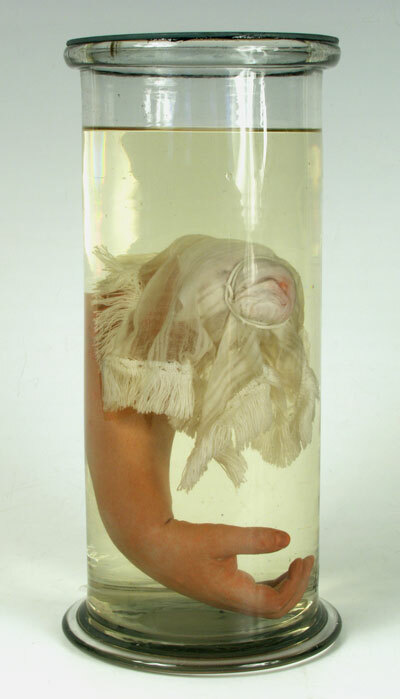 Many of Ruysch's wet preparations, however, can still be viewed in collections such as the St. Petersburg Kunstkammer (which has 916 of them), Museum Bleulandinum in Utrecht, and the Anatomisch Museum LUMC in Leiden. For people interested in seeing more of Ruysch's amazing work and learning more about the man and the collection, I suggest you visit the new online museum devoted to the man, his art and craft, and his collection. 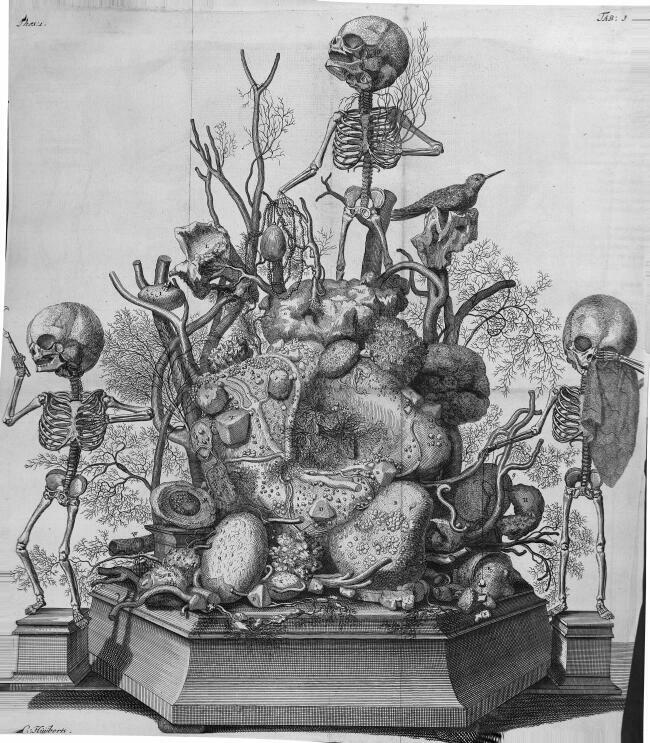 Entitled "The Anatomical Preparations of Frederik Ruysch," the site is organized by a Ruysch Research group formed between the St. Petersburg Kunstkamera the the University of Amsterdam. Although at the moment it is, unfortunately, available only in Dutch, it will eventually have operative English and Russian versions (more on that when these versions launch), and promises to be a great resource, with information about the work, history, collections, and techniques of Frederik Ruysch, and, incredibly, featuring a gallery linking many of the surviving specimens to the artist/anatomist's original descriptions of the objects--a rare museological feat! You can visit the new virtual Ruysch Museum website by clicking here. 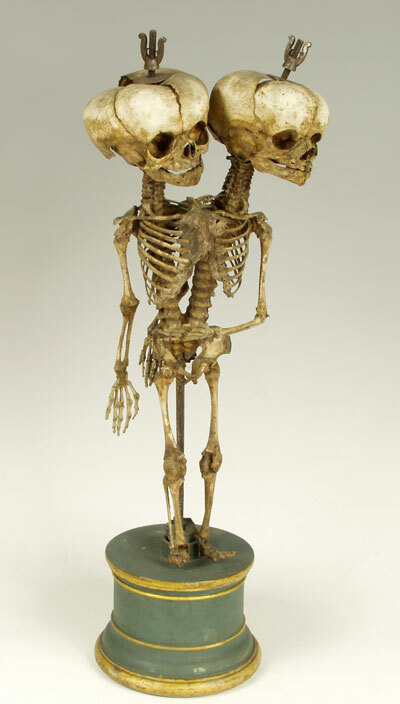 To find out more about museums that still house Ruysch specimens, you can visit these sites: St. Petersburg Kunstkammer, Museum Bleulandinum, and the Anatomisch Museum LUMC in Leiden. For much more information, please visit the citations in the bibliography for this post, which you will find listed below. Another great resource is Steven Jay Gould and Rosamond Purcell's Finders, Keepers: Eight Collectors, which you can find out more about (and order a copy of) by clicking here; you can also visit this book and others that feature images of or information about Ruysch's work in the Morbid Anatomy Library, which is open by appointment. Bibliography for this post, listed alphabetically: The Anatomical Preparations of Frederik Ruysch, BibliOdyssey, The British Library, Christies Auction House, Dream Anatomy, The St. Petersburg Kunstkammer, Medisch Erfgoed, She-Philosopher, The Smithsonian, University of Amsterdam, Wikipedia: frederik_Ruysch, Wikipedia: Kunstkamera, The Zymoglyphic Museum.